Yes – that is my picture below. 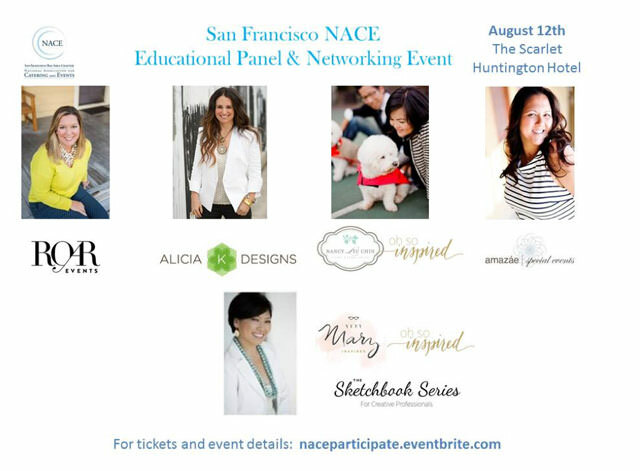 I’m speaking on a panel next Tuesday at San Francisco NACE event the newly renovated and rebranded Scarlet Huntington Hotel. This amazing panel will be talking all about Maximizing Vendor Relationships to Build Creative Masterpieces. I’m really excited about this topic because we love and depend on our vendor so much when we are producing events. I would be kidding myself if I said we can do it all ourselves – because we can’t. Our vendors become part of the ROAR family and team. If you’re local and want to attend – get your tickets here. Events Incentive Swag – Which Camp are you in? Events Hello Summer!